While spending the appropriate amount of time on Pinterest and getting my creative juices flowing, I came across this cool belted wall clock. I loved the idea of using a belt as a way to hang something so I cooked up this project! This will definitely be used in our household for reminders and cute little notes because god only knows how forgetful I am. Now let’s get to crafting. 1. 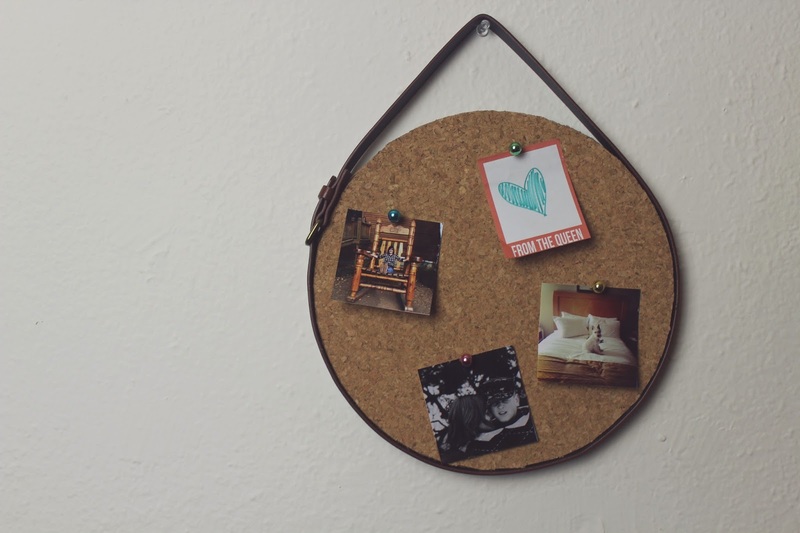 Using the chip board, trace on the cork board and cut out the circle. 2. Apply a thin layer of glue around the outside & inside of the circle. 3. 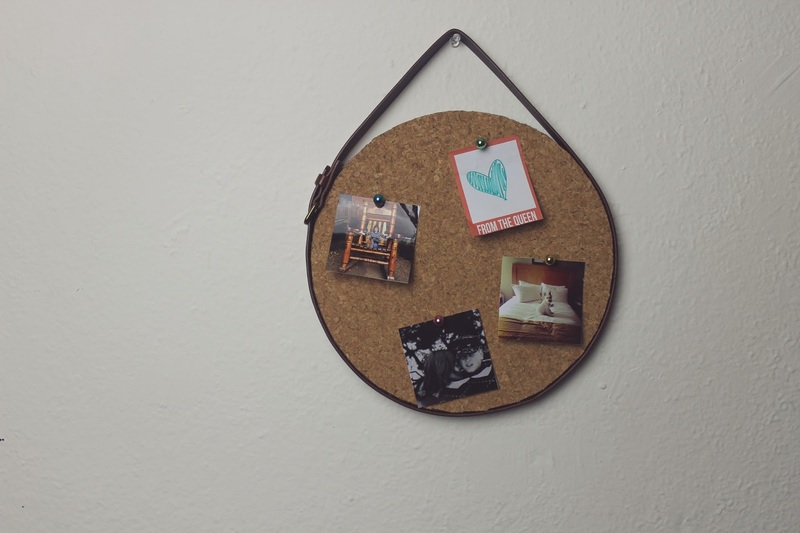 Place cork board on top of glue covered chip board. Apply pressure with a book or heavy object to help glue set. 4. 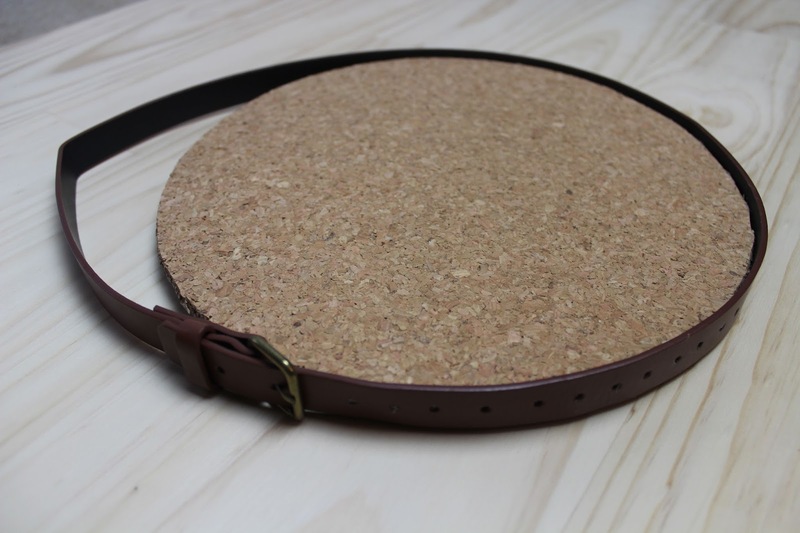 Attach belt to cork board by gluing and attaching belt around the circle. Make sure to leave the top section unglued so you can hang it. I did switch up the glue and used a hot glue gun. It was faster and easier than the E6000 glue. Hang it in a high traffic area of your home so you won’t miss it! As always, thanks so much for reading and happy crafting!